Rent Del'avant Event Center | Corporate Events | Wedding Locations, Event Spaces and Party Venues. 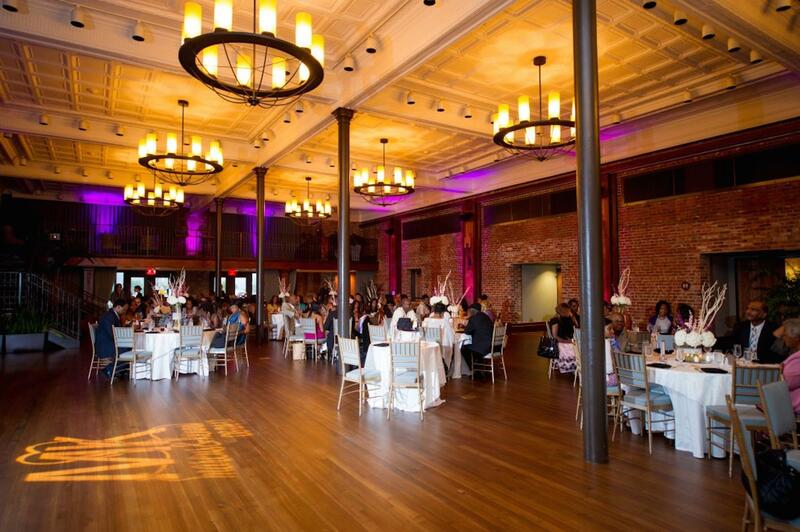 Once the home of the Kress and McLellan five-and-dime stores, Del’avant offers a beautiful event space like no other. The charm and character of our historic building and downtown LaGrange make Del’avant a unique choice for your wedding reception, party or meeting. Del’avant Event Center actually houses three separate and distinct spaces. A chapel like setting can be created for your ceremony in the McLellan Parlor, the Rooftop Garden provides a beautiful location for cocktail hour or a pre-reception and the glamorous Kress Ballroom is the perfect wedding reception venue where you and your guests can dine and dance the night away. Plan to hold your corporate events, business conferences, luncheons or banquets at Del'avant. Small groups from 20 to 120 people can be accommodated in the McLellan Parlor. The Kress Ballroom can be set up to comfortably seat from 75 to 350 people. A podium, state of the art audio system, projector, screen and laptop are available to complete a professional setting for your business function. Please inquire about special pricing for business luncheons for a shorter amount of time!